The "H'ne" is a multiple reed oboe with a remarkable crooked form. 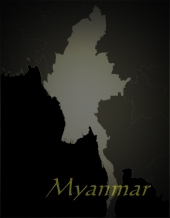 It knows seven nearly equidistant playing holes which were basic for the development of the main Burmese scales in both chamber and ensemble music. The two common sizes "ci" (big) and "kalei" (small) are used for different purposes, the bigger one for slow tempi and more dignity, the latter one for festival occasions. Sometimes the bamboo flute "palwei" suspends the "h'ne" during festivals as it also knows equally set playing holes resounding in the same scale. 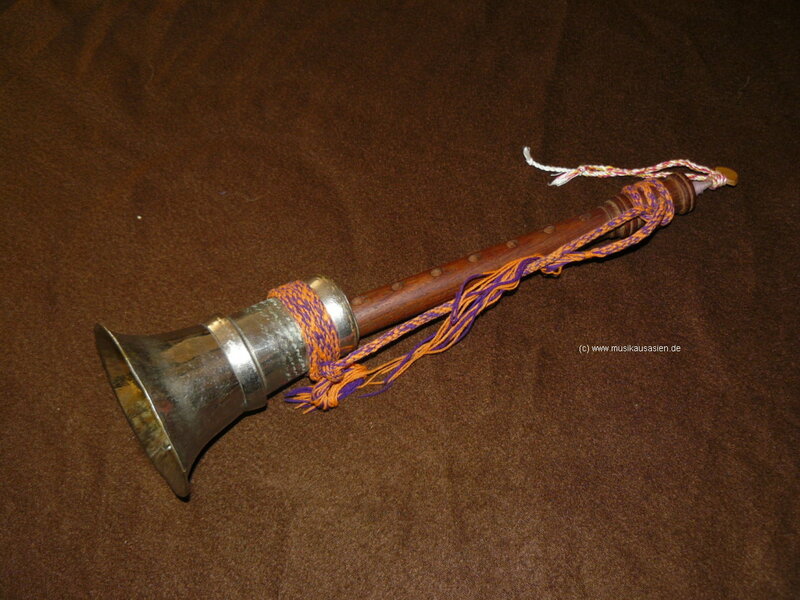 There are attempts to compare this instrument to other reed areophones like the Chinese "Suona" or even more the Indian "Xaranai", and regarding the fact that Burma borders both countries and always was visited on several ancient trade roads, this might be not really false. There are also comparable instruments in medieval Europe, which could be connected to instruments like this. On the other hand, not only the shape but also the tuning of this instrument is left to Burma alone.